Give the perfect geek gift - adventure in a box! 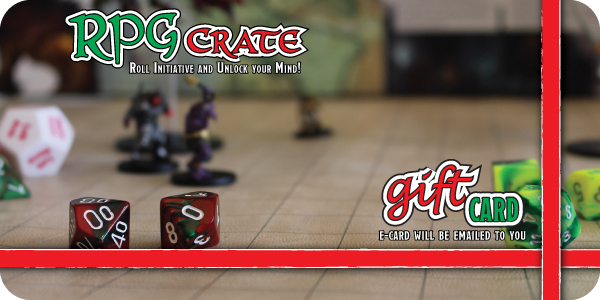 The gift card can be applied to purchases only at RPGCrate.com : Monthly Memberships, Past Crates, and anything in the SHOP tab. The perfect gift for the tabletop role-play game enthusiast.